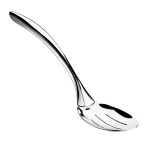 The Browne 573181 serving spoon has a hollow-constructed handle that will not take on heat, preventing staff and customers from getting burned. 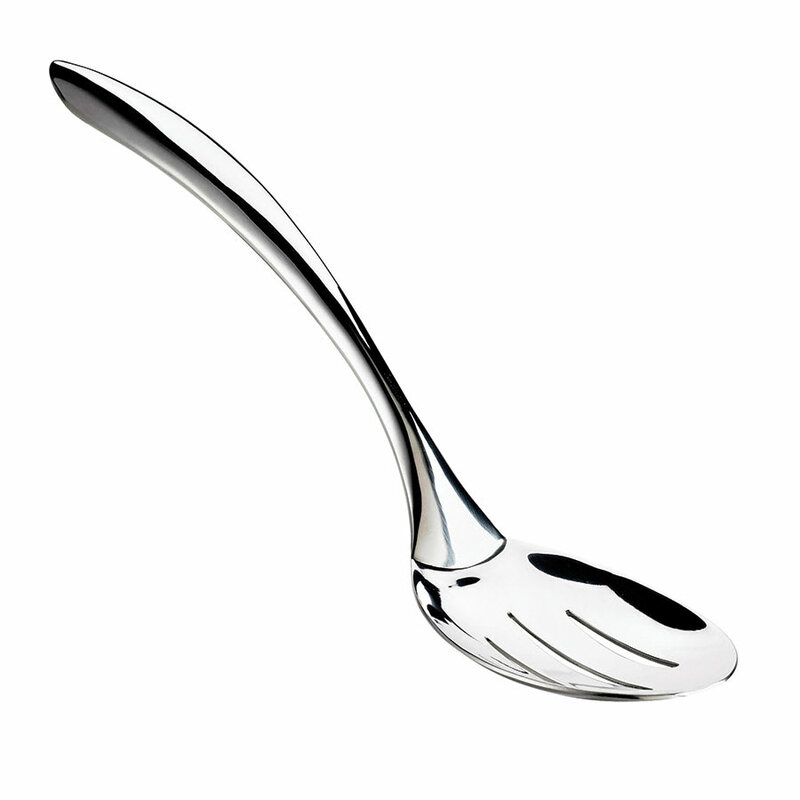 Lifting the spoon off flat surfaces is no problem since the handle is curved. It will not easily fall into serving pans thanks to the curved handle. With its 10-inch length, the Browne 573181 serving spoon is great for a variety of uses but is ideal for serving product that needs to be drained since it has slots.